Will Rogers once said, “Good judgment comes from experience, and a lot of that comes from bad judgment.” Of course, he died in a plane crash, so you’ll have to excuse him for begging the question. Speaking of good judgment, Chris, a New York-based private pilot, recently related a story about an instructor who steered him wrong on a WINGS proficiency flight. Changing frequencies quickly revealed that light aircraft were swarming around Oswego like flies. All of them were using runway 33 and landing with a direct crosswind. I weighed the options quietly. I could certainly handle a ten knot crosswind and thought that it would be good practice. I decided to enter the pattern for runway 33 along with everyone else so as to not disrupt traffic. I banked Warrior 481 northward toward the lake to set myself up for a 45° pattern entry. “No. Runway 6.” He was adamant. He had a point, but I still did not like it. I had never disobeyed a flight instructor before. After all, flight instructors lived on Olympus and knew everything, right? My experience from South Haven had taught me that simultaneous runway operations were manageable provided that one could stop short at the runway intersection; this would be a piece of cake with Oswego’s long runways. I hate straight-in approaches at non-towered fields, they just seem to incite chaos when other aircraft are in already in the pattern. But as I sorted out the three-dimensional picture in my mind’s eye, I realized that he had a good point. A straight-in final approach would carry me under pattern traffic for runway 33 without posing a conflict. It would be just like the crop dusters on final approach for the grass at South Haven with traffic above them on downwind for the paved runway. We were running out of time, rapidly approaching the airport. I complied with Stan’s instructions and announced my intentions to land straight in on runway 6. Chris learned a great lesson, both about being pilot-in-command and about the fallibility of instructors. If I had a dime for every mistake I’ve made as a CFI, I’d be able to buy the world a Coke. 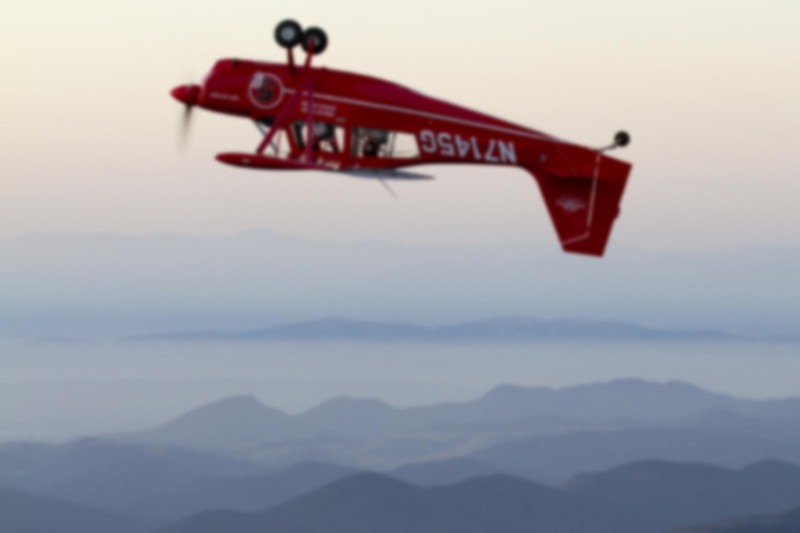 Sad to say, some of the dumbest events in the sky involve airplanes with instructors on board. On the other hand, sometimes a CFI has to let a students make some mistakes in order to learn. But it can be a fine line to walk. Example: a student is timid or challenged in some way with radio work. This is pretty common, and not just with greenhorns. 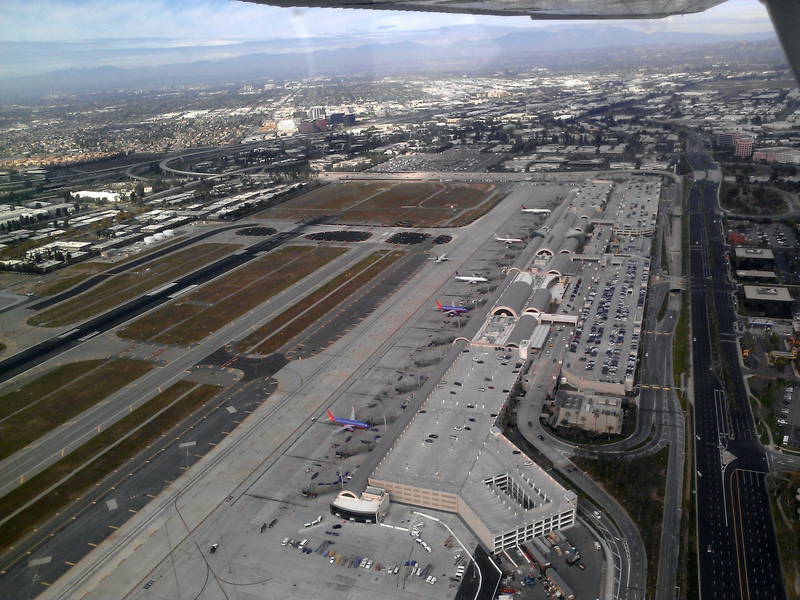 Even experienced pilots who come to Southern California from less hectic parts of the country have a hard time with it. I have to let them bumble about a bit on the frequency in order to learn. But if the approach controller is really busy or short-tempered, how much do I let my student irritate the guy? Does it affect safety for other aircraft? And how does that weigh against the need for my student (and client!) to become a safer pilot by working through this communication hitch? It’s not always clean or easy figuring out how far is “far enough”. Is my student really creating a safety problem, or is the controller just being snippy? There are things I cannot know, like how many other people might be waiting to get a word in on the frequency. The same applies to the pattern situation Chris faced in upstate New York. There are good arguments both for and against simply fitting into the existing traffic flow. But either way, it’s a judgment call that the pilot-in-command should make and then execute with courtesy for those already in the pattern. I fly a wide variety of tailwheel airplanes, and they don’t handle tailwind landings very well. Sometimes I’ll come to a non-towered airport and see everyone landing with a 5-6 knot tailwind. They don’t mind it so much in tri-gear aircraft — heck, they might not even notice it! Or maybe they just don’t want to disturb the other pilots. But I cannot land in a tailwind in my Pitts in good conscience when other options are available. So I get to be the jerk who wants to land in the other direction and pisses everybody off. On the other hand, I try to make the call early, circle as necessary to stay out of people’s way, and certainly avoid a straight-in. 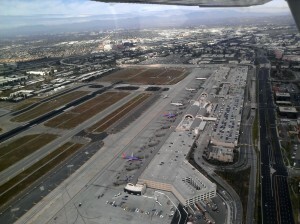 John Wayne Airport is one of the busiest Class C airports in the country. I’ve even done this at highly-congested Class C fields like John Wayne Airport. Turning around a busy airport so that everyone’s suddenly landing in the opposite direction is a major hassle for controllers. First they have to stop arrivals and departures. Then all the airport traffic being vectored to runway 19R (which can stretch for 50 miles or more) has to be re-routed for 1L. If wind directions change temporarily and the velocity is not too strong, often they’ll try to ignore the tailwind for a bit. And that’s fine, as long as pilots are willing to land that way. Ironically, SNA is one of the nation’s shortest runways (5,700′) for major airline traffic, so the Part 121 drivers don’t let things get very far afield before they demand “the other runway”. But there have been times when I’ve been the guy, the little twerp in the biplane, who forced the airport to halt operations while tower and approach controllers vectored traffic all over the place and taxiing aircraft had to snake their way from one side of the field to the other in order to accommodate me. On the other hand, perhaps some of those pilots were silently thankful that someone spoke up. Just a few weeks ago, a departing 737 ingested a bird at SNA and lost an engine just as the pilot was lifting off into low IFR conditions. I wonder how that guy would feel about a few knots of tailwind? Flying is less about physical aircraft control than it is about good judgment. Unfortunately, many of the situations we face as aviators are not cut-and-dried. We’ll all get along a lot better if we can remember that.